Zany's Playpen cubit: Why a personal website ? Why a personal website ? There are as many reasons for creating a personal website as there are opportunities to build them. There are no doubt hundreds of thousands of these sites already out there in cyberspace and some of them are quite successful for their owners while others are soon abandoned for just as many reasons as there were for creating them. Lets examine a few of the reasons for creating a website and what is needed to make it serve your needs. You have a favorite hobby or interest and have been frustrated in your efforts to find sources, how to's, new ideas or others to share your enthusiasm. So you decide to get what you need by creating a website that contains everything you need. You begin by putting up the information/knowledge you have acquired and add to it as you learn more. You tell your friends about your site and invite them to join you there...and some actually do. But how do you get strangers to visit and contribute to your site? After all you don't need a website to teach you what you already know. What you need are people to find your information and decide that they can benefit from your site and that they can also find it rewarding to share their knowledge and experiences without the need to start their own web-page. The only way these people will find you is through a combination of hard work, word of mouth and search engines. There are ways to get your site noticed such as link sharing, submitting your site to the search engines, making certain you have appropriate meta tags in place, publicizing in as many ways as you can find and so on. This is a good start. But if you do not have a content rich site none of these things will make much difference. What does your site offer to attract and keep visitors? 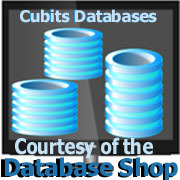 Do you have a database of information to provide the information your selected audience is searching for? Have you included pictures, slide shows and articles that are of interest to that audience? Is the site easy to navigate? Is the site presented in such a way as to be viewable to most browsers? Is your site attractive? Have you included such things as picture descriptions to make the site more user friendly to the vision impaired? Does your site contain original materials? Do you keep your site updated regularly? If you answered no to these questions you have not given your site the best chance to serve you. Your goal is to expand your market share, increase sales, serve as a way for your clientele to find fast and easy product information, provide easy access to product manuals. offer better customer service. In addition to the questions previously offered you need to ask: Does my site appear professional? It is difficult to feel confidence in a corporation that has a website filled with typos and misspelled words or outdated images and information. For small startup companies a personal website can create new opportunities. Larger corporations require full, professional sites. Regardless of whether you are offering one product or thousands of products the goal is the same. You want to get the buyer to purchase from you instead of the competition. Pricing is only one small factor in the customers decision. Trust is a very big factor. Does your website make the customer feel safe? Next is ease of purchase and types of payments accepted. If you are offering something original such as one of a kind artworks, does your site showcase the art in the best possible way? Are the pictures clear and detailed? Are the descriptions accurate? Are you giving the customer information on the artist as well as the artwork? If you are retailing items purchased wholesale are you presenting those products in such a way that the customer knows exactly what they are getting and at what cost? Is your inventory displayed attractively? Stores know that displays are important, and a successful web store must know this also. Shipping: Do you offer different shipping options for your customer to choose from? Are your rates for shipping fair? Are your products shipped in the best possible containers or packing materials so that barring extreme situations the product will arrive safely and undamaged? This category m akes up the bulk of small websites. 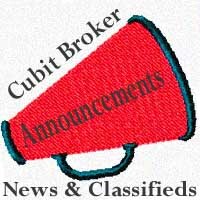 The most common being in the form of blogs and small sites made on free space offered by ISP's. Most of these sites will never be seen by search engines unless they are associated with others through such things as blog rolling or stumble upon where they are discovered pretty much by accident. 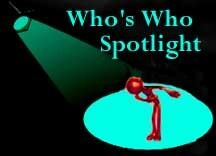 Unless they are promoted and follow the steps needed to build their visibility they remain unknown. They often languish in obscurity until they are abandoned. That does not mean that all websites built for self gratification are failures. Some will be unique enough to attract a following and on rare occasions can lead to great things such as job offers and even recording contracts or commissions. 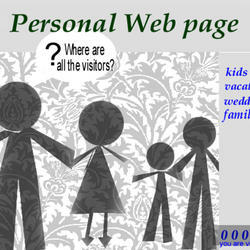 There are other reasons for creating personal websites such as social networking which is popular. These generally are hosted at such places as MySpace and Facebook. Understanding why you are creating your web page is the first step to understanding how to make it serve your needs.